. ببساطة كل الخدمات وأساليب الضيافة التي تشتهر بها Quest Serviced Apartments تجعلك تشعر وكأنك في بيتك. يقدم العقار واي فاي مجاني في جميع الغرف, أمن على مدار 24 ساعة, معبد, متجر, خدمة التنظيف يوميًا لضمان الراحة القصوى لضيوفه. يمكن للنزلاء الاختيار من ضمن مجموعة من الغرف المصممة بعناية لتعكس جواً من الراحة، والتي يتجاوز عددها 44. يقدم الفندق مجموعة رائعة من الخدمات كمثل مسار جولف - ضمن 3 كم، لجعل إقامتك تجربة لا تنسى. إن Quest on Hobson هو خيارك لخدمة الفنادق الراقية في المدينة. لا يوجد صندوق أمانات في كل غرفة. تتوافر صناديق الأمانات عند الطلب من مكتب الاستقبال. وقد تُطبَق رسوم إضافية. 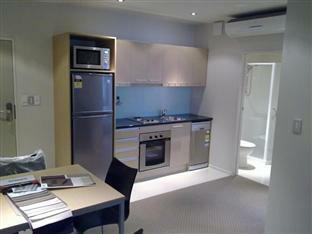 Right in the doorstep to the sky tower and only 5 minute walk to Queen street. We arrived very early into Auckland and the staff were so kind as soon as the room was cleaned they checked us in. The Reception staff and the housekeepers were lovely. The room had everything you need if you are self catering and a washer dryer too ! I had the most amazing view of the sky tower from the room which was about 100 meters in the same road. It is near Sky Tower and CBD. Convenience store is just beside hotel, easy to get around. Room comes with washing machine and dryer, very convenient. The first time I stayed here this year I really enjoyed it. 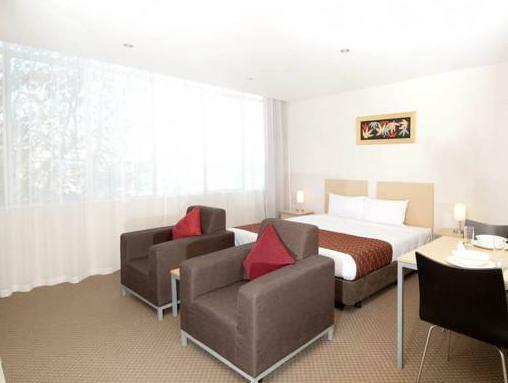 It was convenient (walking distance to town and sky tower), parking right opposite the apartment and helpful staff. However this time I found that the room wasn't as tidy as last time, there was a blood stain on the wall in our bedroom...still it's a good place to stay at when there is are big discounted rooms. 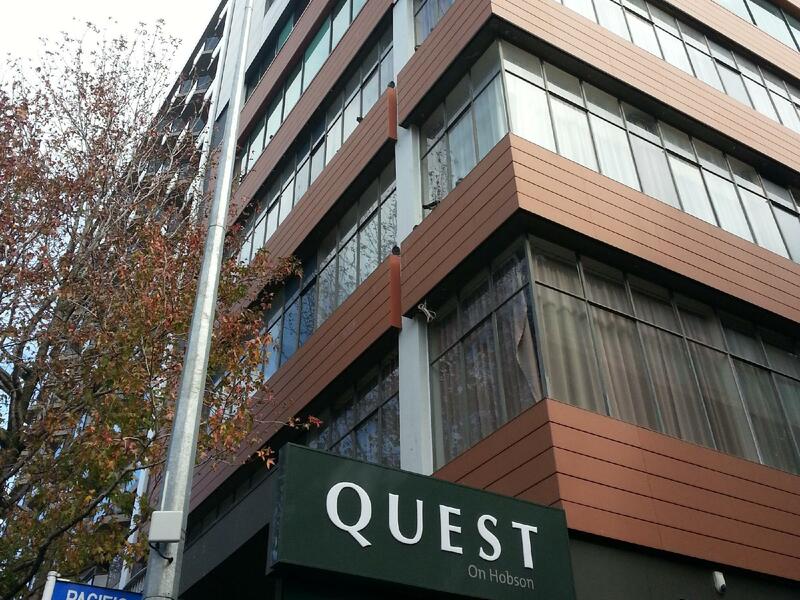 Great location just opposite Skycity and the bus terminal. Management would have to sort out the parking spaces, limited parking slot available, not recommended for guests with car. Room are a bit tired and cleanliness is not up to standard. This is not a particularly nice area to stay, and not a particularly nice hotel either. Unpleasant smell and not very comfortable rooms. Ok for a short stay but don't expect anything great. Great unit and friendly staff will come back. A decent service apartment with nothing to recommend it other than its location and price--I stayed here only because I couldn't find anything else in its price range near the area. The rooms and furnishings are a little old but serviceable, and a good-enough size for one. 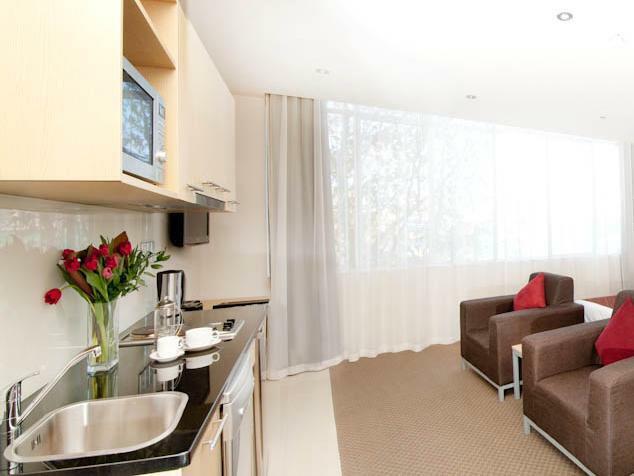 Located within easy walking access to CBD. Asian (Chinese, Indian, Korean) supermarkets and takeaways on the same block. 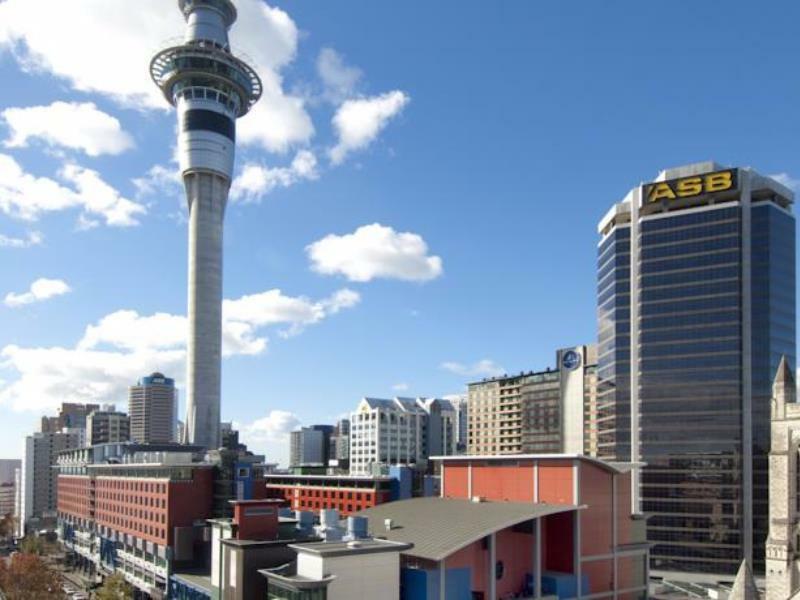 Up the hill but close to SkyCity, Aotea, and other major conference centres. Short walk to university, park, food court and shopping. Near outer city bus route. Friendly and helpful staff. Internet wifi just adequate. Full kitchen. Good value for money.